Home / Wizards Seasons / 2010-11 Wizards / LINKS: Quick! Find someone, anyone, who has an opinion about John Wall. LINKS: Quick! Find someone, anyone, who has an opinion about John Wall. 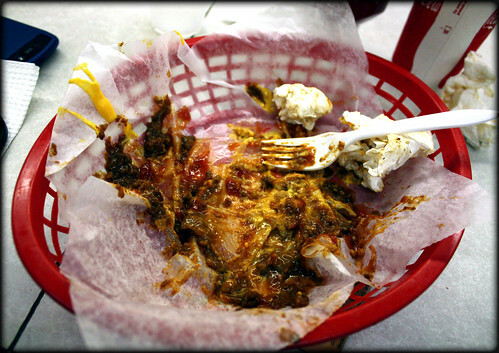 Or maybe you can just ask John Wall if he wants to go to Ben’s Chili Bowl. There’s a sign in the famed D.C. haunt that says the only people who eat free are Bill Cosby and the Obama family. Surely an exception can be made should Wall ever bring an NBA title to Washington. Oh, the Wizards haven’t even drafted the kid yet? Okay, I’ll hold my horses. 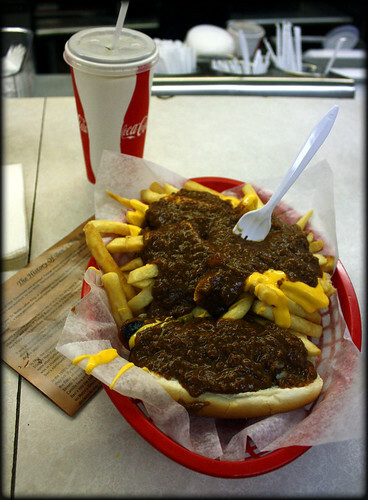 a chili half-smoke with mustard and onions, and chili-cheese fries. By the time John Wall actually wears a Wizards uniform we will have heard just about everyone give their opinion about him being in D.C. — we’re talking some Ouija board channeling Abe Lincoln type stuff. Or at least getting DeShawn Stevenson’s neck tattoo to speak on it. Already in the month of June we’ve had failed Washington Nationals GM Jim Bowden and failed 6’10” Washington Bullets point guard Chris Webber elicit verbiage about Wall, courtesy of the DC Sports Bog’s Dan Steinberg. For the record, Webber really thinks it’s important to put great veterans around Wall, of which there are zilch currently on the Wizards roster. But I think Sam Cassell will suffice, as long as he doesn’t teach Wall to smile at his opponent while walking the ball up the court in a crucial moment of a playoff game, lose focus, and get an eight second backcourt violation called on him. Yes, that happened. But Sam is great. We kid because we love. Also, Bowden, when Wall was a guest on his show on Fox Sports Radio, talked with the 19-year old about drinking and dancing. Wall doesn’t do the former but has his own version of the latter. Actually, he has his own version of the former too. The John Wall Shot (which I suppose could also made into an entire drink) consists of blue raspberry vodka, sour mix, and Sprite, Bowden explains. This gives the former baseball exec two additional options the next time he’s hanging in South Beach. In the coming weeks, expect Vinny Cerrato, Teddy the racing President, and Robin Ficker to drop some thoughts John Wall too. John Wall sounds like a guy who won’t get distracted by the ladies. Also, one of his main motivating factors is his dad who passed away when he was nine. “I know he’s watching over me so I’m just trying to be the best son he ever had,” Wall told the Washington Post’s Michael Lee. Frank Hughes of Sports Illustrated writes, “Although the comparison is not apples to apples, many in the NBA are comparing the first two picks of this year’s draft [John Wall and Evan Turner] to 2007 when the choice was between Kevin Durant and Greg Oden.” Not saying it hasn’t happened, but this is the first I’ve heard of such a comparison. Hughes also becomes the first person in the month of June to suggest that Wall and Gilbert Arenas might not mesh. If his piece had been posted in May he would’ve been the 363rd person. Via the research of Dan Steinberg, the Wizards can expect to win between 9.6 and 11 more games next season, which would likely leave them short of the playoffs for the third year in a row. But hey, maybe Ted Leonsis will have the Midas lottery touch two years in a row. The Orlando Magic won the NBA lottery back-to-back in 1992 and ’93. On the tail end of that, they only had a 1.52% chance of winning, the lowest odds of a number one pick winner in lottery history. Caron Butler is now on Twitter. He’s going to update you with [insert generic thing that rich NBA player does]. I think we should have a celebration when he first tweets about going to the Cheesecake Factory. Or an office pool. Next to the United States, and perhaps more, the Philipines is the most passionate country about basketball in the world … and some Filipinos aren’t down with that. According to Jason Kidd, Wonder Bread is the flavor of the NBA. Who knew? Marc Berman writes a profile of LeBron James and his “Four Horsemen.” My gut feeling after reading is that LeBron is going to Brooklyn. Sorry Cleveland. A highlight of every single player called up from D-League during 2009-2010 NBA season … the Wizards had four of them. The basketball rims on most New York City public courts are still made by hand. That Juwan Howard jersey is way too tight, bro. The ‘Which franchise is more loyal, the Chicago Bulls or the Miami Heat?’ debate. Matt Barnes is the ultimate nomad. I sense a new forehead tat for Matty. Michael Wilbon … boom, roasted.